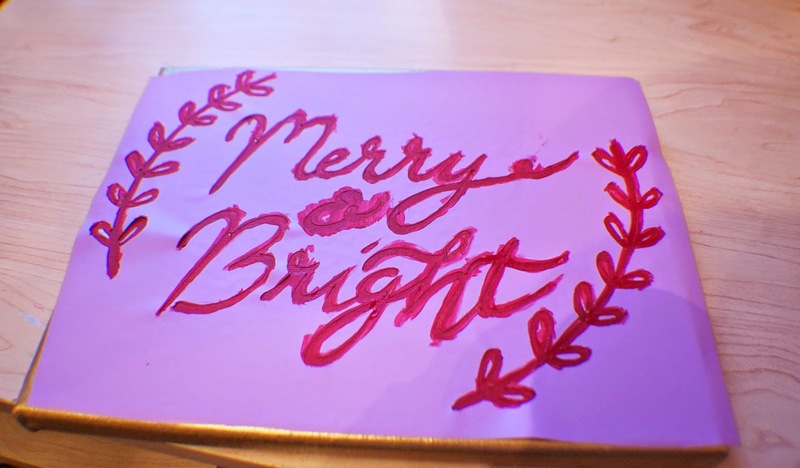 I haven't made many new Christmas decorations for this year but I knew I wanted to at least make another decorative sign. 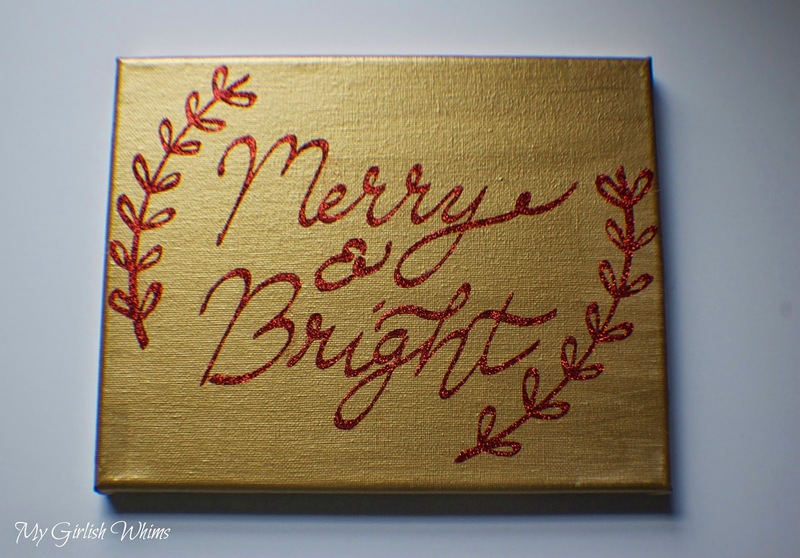 I made two last year: my burlap "Merry Christmas" sign and blue and gold "Most Wonderful Time of the Year" sign. 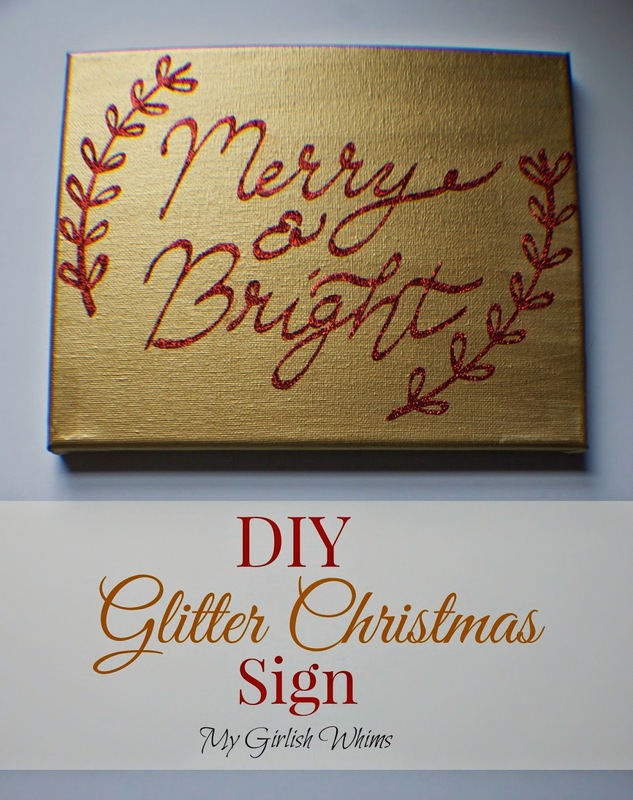 They are two of my favorite DIY Christmas projects so I thought that I would add one more to my collection and made this DIY Glitter Merry & Bright Sign! 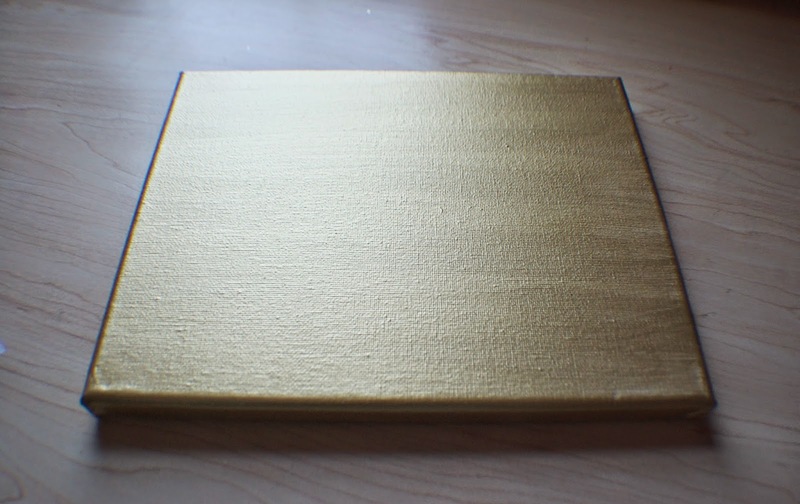 I started with a plain art canvas that I painted a shimmery gold color with craft paint. 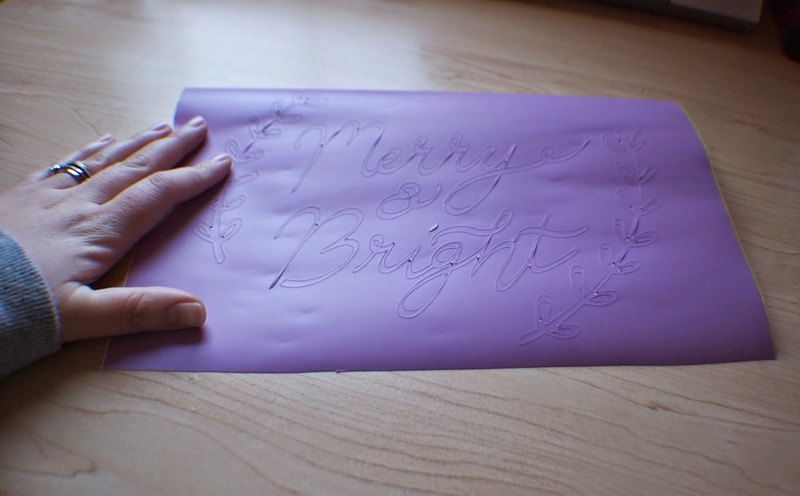 Next I cut out this Merry & Bright shape I found online in the Silhouette online shop onto vinyl using my Silhouette cutting machine. I wanted to use the vinyl as a stencil so I weeded out all of the letters and was left with all the negative space. I transferred the vinyl onto contact paper so I could place it down on my canvas. After the vinyl stencil was on the canvas I painted the letters and designs with red paint. 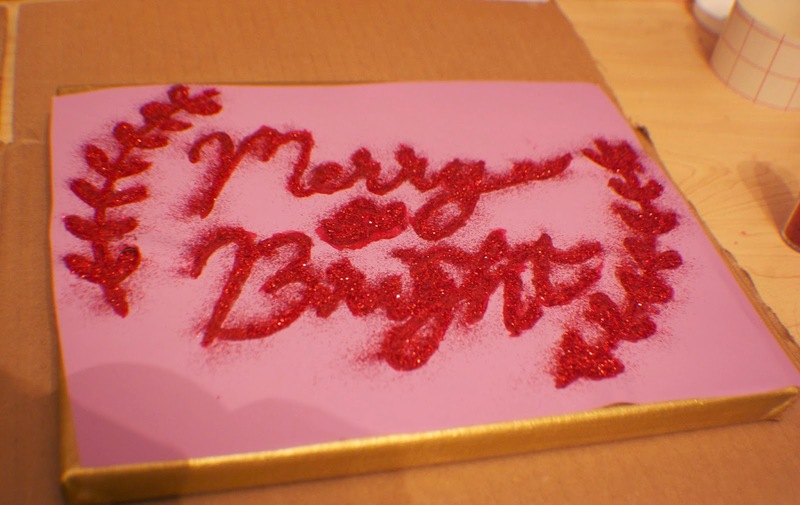 After the paint was dry I painted over it with a thin layer of mod podge and sprinkled lots of red glitter over top. 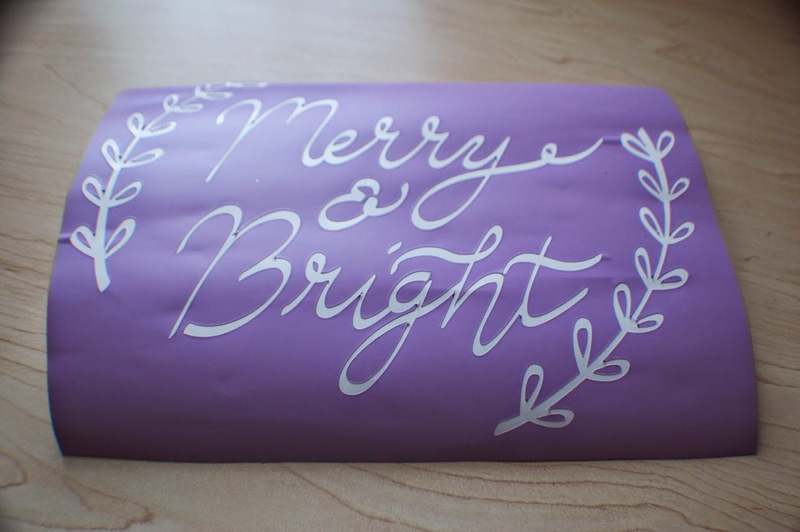 After the mod podge had dried I carefully peeled back the vinyl stencil and was left with my beautiful and glitterful sign! 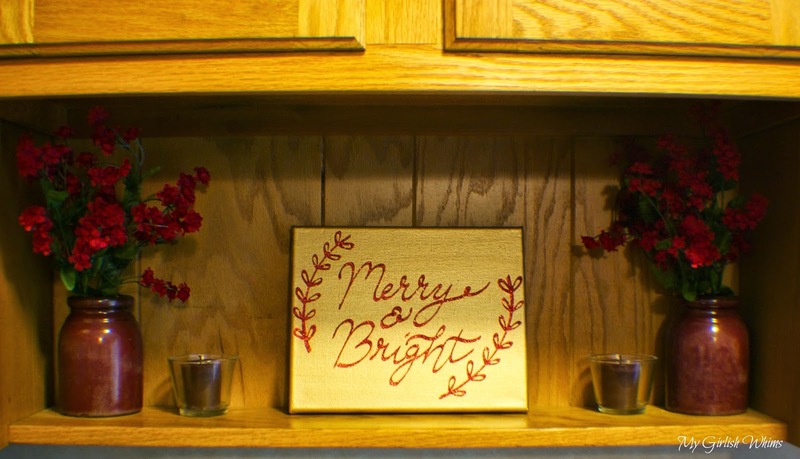 I painted the sign in the gold and red colors to match my kitchen decor. I have a little alcove in my cabinets above my kitchen sink that this decorative sign fits perfectly in! So I made this sign and my Christmas Swag Wreath this season...I think that's about all for my Christmas crafting this year. The only crafting I have left to do is an ugly Christmas sweater for my work's ugly christmas sweater party. That's right...apparently just buying an ugly sweater isn't enough, I saw pictures from last year's party and these sweater's were CREATIONS. I have a few ideas up my sleeve that will include the sewing machine and lots of faux Christmas tree garland. I will be sure to post some picture of the finished product on my instagram if you are curious as to how it turns out!! Very cute! It turned out great. I love red and gold together too! Hi! I am trying to do something similar, but I'm wondering how you got all of your middles of letters to stick? And how did you get the vinyl stencil to stick to the canvas? I am having SUCH a hard time figuring this out. 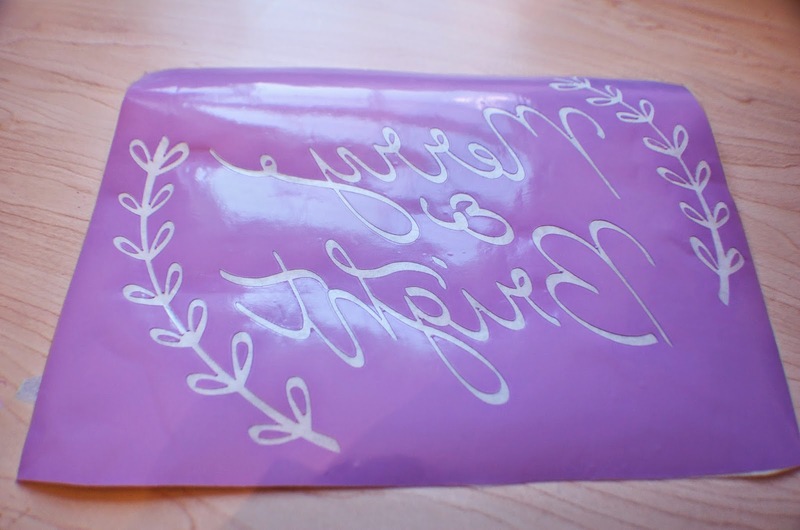 I managed to get most of the letter middles onto the transfer tape but the vinyl stencil will NOT stick to the canvas to peel the transfer tape off. Any help would be appreciated. 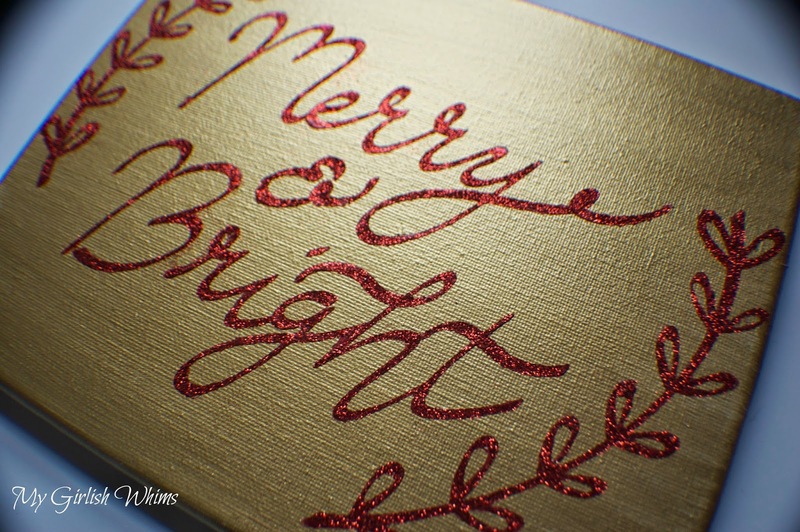 Also, I LOVE the red glitter with the gold. If I can figure this out I am totally trying this for Christmas. It's beautiful!